Synthetic tracks are safe, consistent and enjoyable surfaces for competitive running, training and other athletics events. Their composite materials provide elasticity, water permeability, increased grip and reduced health & safety risks, allowing the end user to practice their athletics skills in most weather conditions. However, as with all artificial surfaces, care and attention to synthetic running tracks is essential in order to maintain their effectiveness. 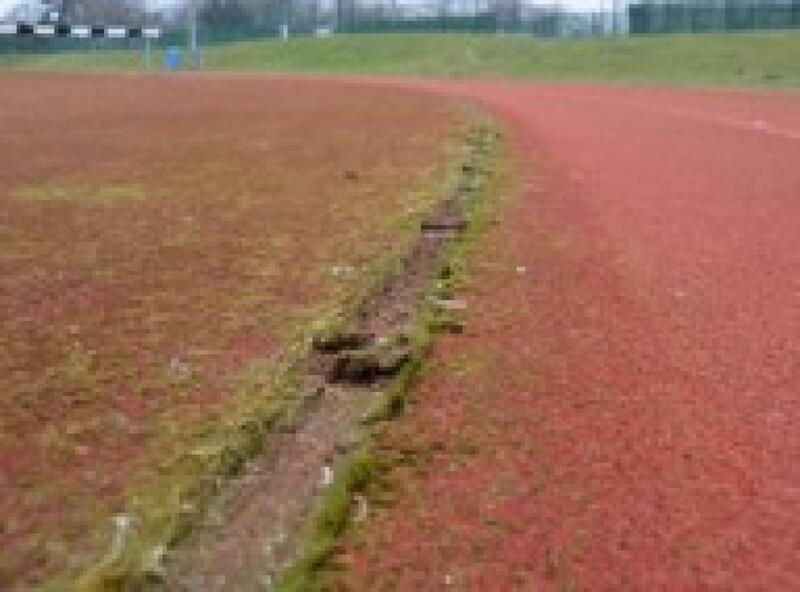 Exposure to the elements (wind, rain, frost), as well as a track’s location (surrounded by trees, hedges, grass verges), results in contamination being deposited on the track surface. User footfall can also contribute to the spread of dirt, debris and other contaminants which, if left unattended, will rot and penetrate the surface. Not only does this affect the overall aesthetics of the facility, but the presence of contamination also causes the running tracks to become slippery and unable to dry out. As well as the obvious health & safety risks this poses, this creates a growing medium for moss and algae, further increasing the ‘slip’ risk to users. Chemical treatments using recognised products such as Chemtech® (a water-based concentrated liquid biocide for the fast, effective treatment of synthetic surfaces against biological growth, algae and lichen) will help to treat biofilms and other vegetation, but it does need to be removed from the surface, along with dirt, debris and other contaminants. 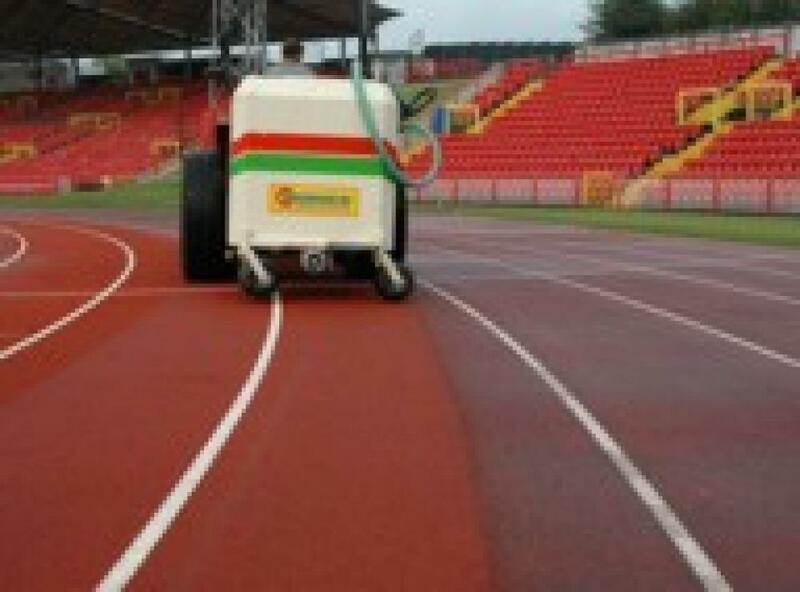 To achieve this, Technical Surfaces utilises the Athletic Track Cleaner KBR, from German manufacturer Hörger. The KBR system pressure washes the track to lift contaminants, before cleaning the surface using rotary brushes. The integral edge-cleaner and hand lance allow for cleaning hard-to-reach areas. 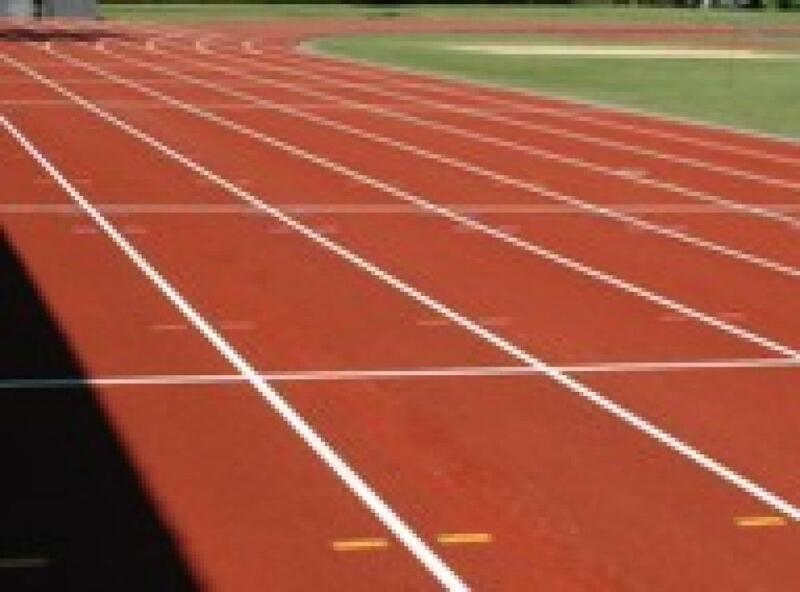 Technical Surfaces can also carry out athletics track line marking following a deep-clean of the surface, to refresh any fading lines and improve the overall aesthetics.